Several years ago I got the brilliant idea for my wife and I to “get-a-way” from our daughters and have some alone time…just the two of us. Living in Iowa our choices are a little limited as we didn’t want to be too far away from home in case an emergency popped up at home, and we didn’t wish to spend a ton of cash nor spend the majority of that time driving to and from the eventual destination. Wherever we’ve ended up we’ve had a great time. As with most of me and Connie’s vacations we try things that we typically don’t do. 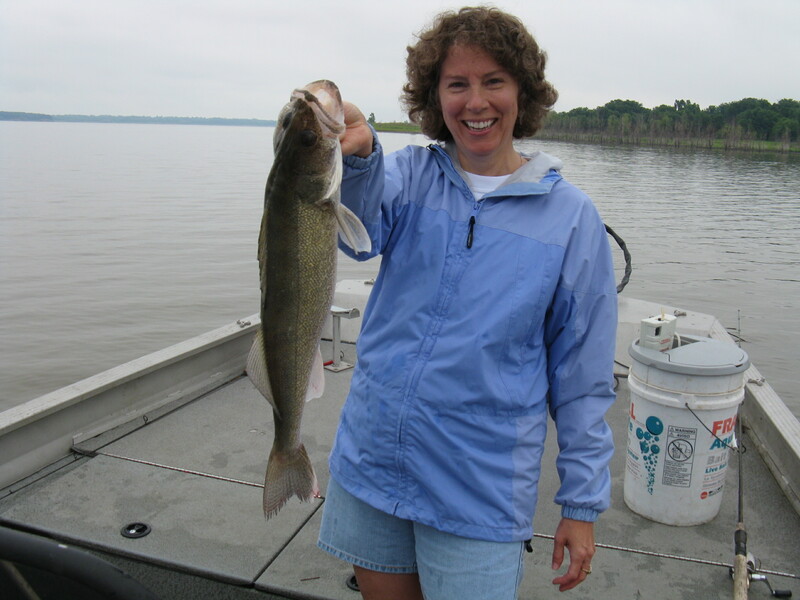 The first year I surprised her with a chartered fishing trip on Lake Rathbun. She caught a four pound walleye in the first twenty minutes; I fared slightly less. Four pounds worth of Walleye. Caught on a rainy July day in two feet of water. Connie is happy, and that makes me happy. As Connie was slaying the “giants of the deep”, I kept the little fish safe by routinely bringing them into the boat throughout the day. The second and third year we spent in Cedar Falls, not exactly a wonderfully exciting time…but time spent together…trying out new restaurants…watching movies…reading in our hotel room…real…high…rollers. This years destination was (wait for it)…Galena, Illinois. There again…nothing too exciting but plenty interesting for me and my bride. Galena was founded in 1826 and shortly thereafter lead was discovered in the area around Galena. The shout went out “There’s lead in them thar hills! !” or probably more like “C’est Thar plomb dans ces collines!” since the area was thick with French at that time (they finally found a place where the British Navy couldn’t kick ’em around quite so easily). Anyway, the town of Galena has a lot of old brick buildings and such filled up with a variety of artists, wineries, shops and whatnot. Along the way we stopped in Dubuque, Iowa (home of the world’s largest bowl of cereal…I don’t know how they keep it from going soggy) and queried our Tom Tom device and it came up with a bar called “The Gastro”. It’s located in a classy old German bank building. The Gastpro Bar and Restaurant in Dubuque Ia. I had the Gastro Burger, which combines my love of eating as many farm animals in one bite with my love of wonderful food. Mission accomplished. 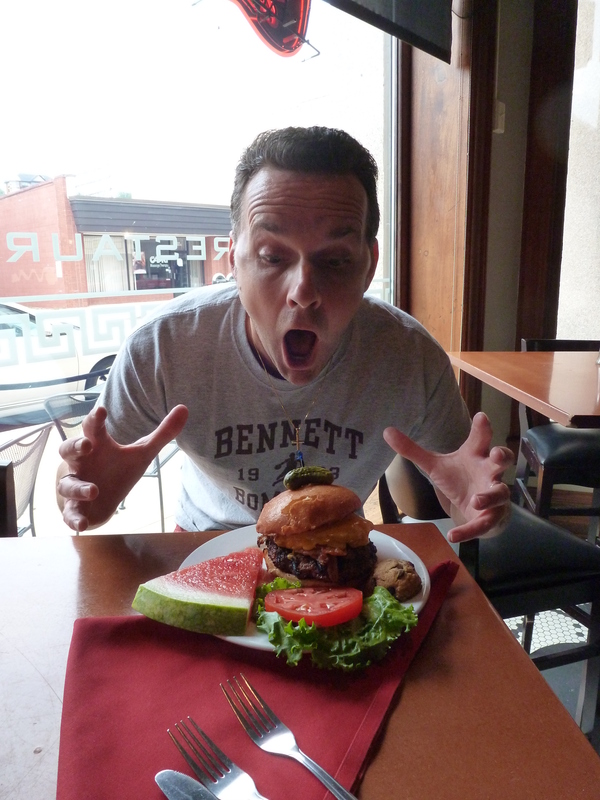 I was just a little more than excited when our waiter, Josh, brought out my Black Angus burger, with bacon and a fried egg on top. Look closely and you’ll see a slice of fresh watermelon and little fresh-baked chocolate chip cookie. THANK YOU LORD!! Connie ordered a wrap with chicken and something else in it but I was way too busy eating the literal “work of art” that I ordered. 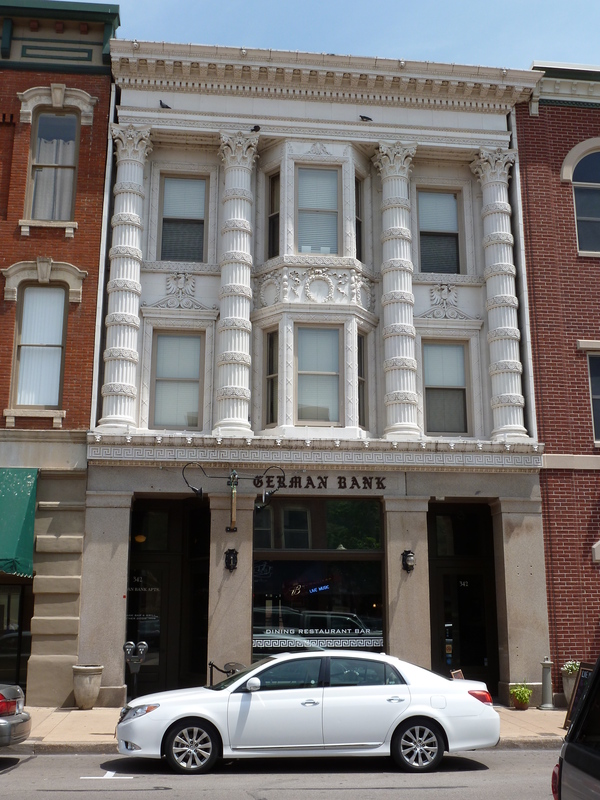 I love that they’re using a classy old bank building in downtown Dubuque, making excellent food with local suppliers. The hamburger bun itself was blue ribbon quality in itself, purchased from a local bakery. We still had a couplea hours before we could check into our hotel in Galena so we shelled out some dough and meandered through the National Mississippi River Museum and had a good time there. 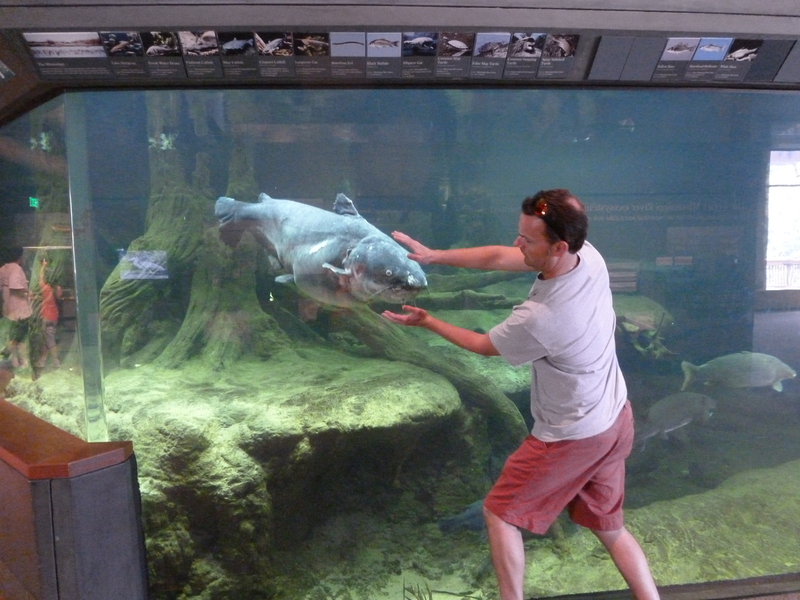 Below is a photo of me recreating a scene from my days as a river barge diver, rasslin’ a giant blue catfish. It’s lost most of its appeal since the kill-joys at the aquarium refused my repeated requests of getting into the actual tank. 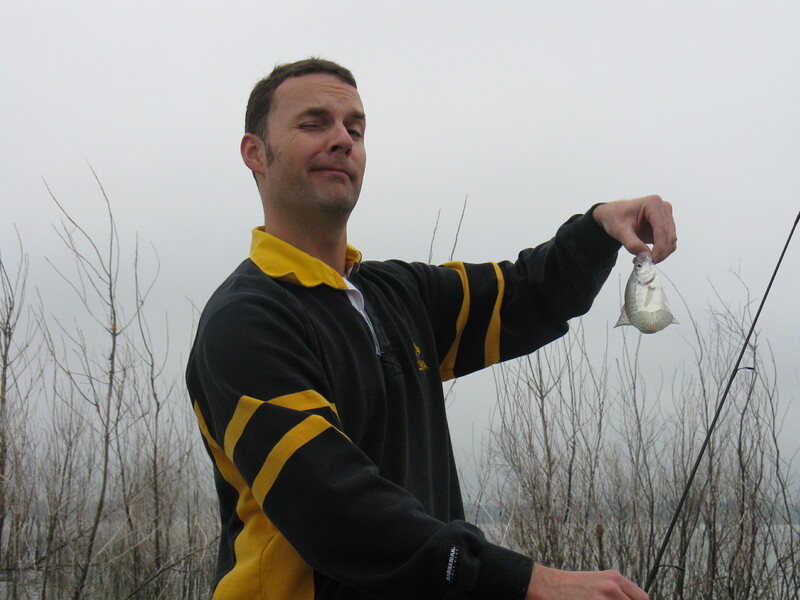 I even promised to get ’em another stinkin’ catfish if the one I wrassled accidentally died…we’re thick in catfish up here in Iowa…literally up to our armpits, oh wait…that’s POLITICIANS I’m thinking of…my bad…apologies to the catfish for the defamation of their charector…as it is. Recreation of me rasslin’ a blue cat. Look closely and you can see the fear in its eyes. The time had come for us to leave the aquarium (or at least that’s what the “rent-a-cop” told me. 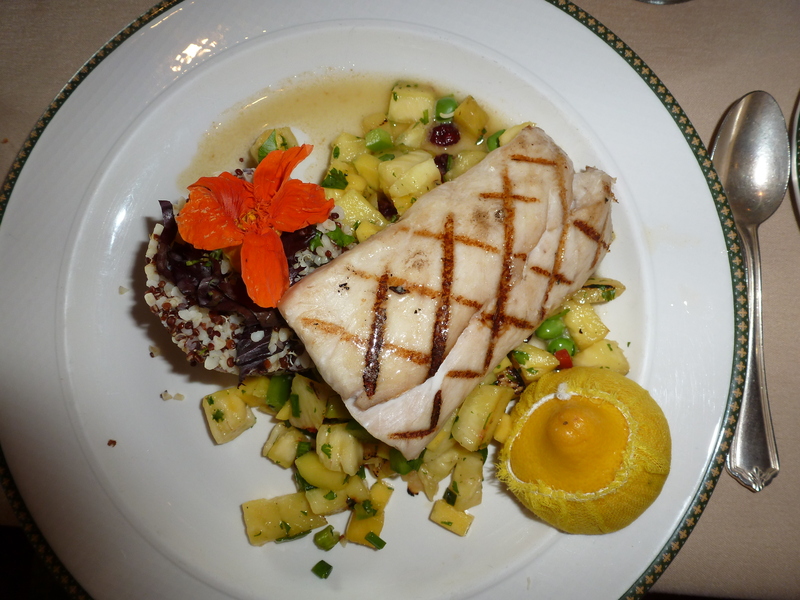 I was tired of him giving me the “stink-eye” and Connie the “hubba-hubba eye“) so we drove further onto Galena and checked into the resort, Eagle Ridge. 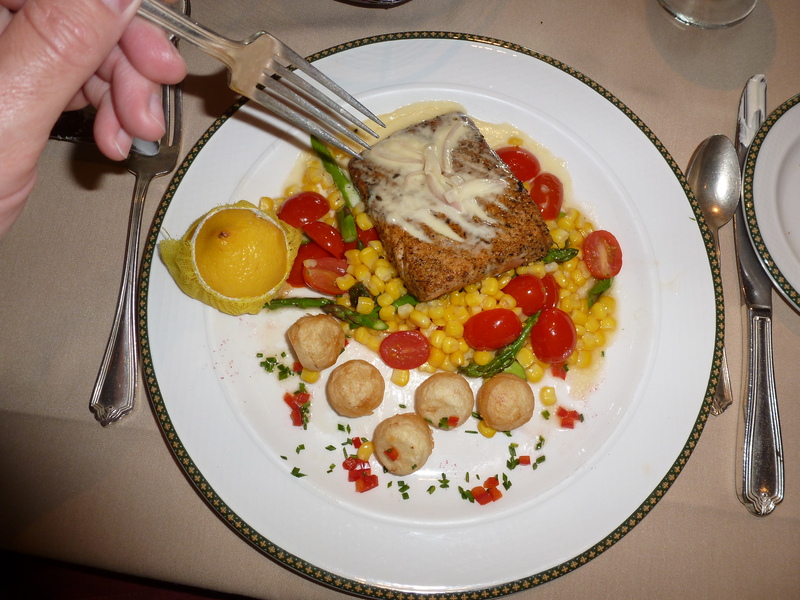 For supper we visited their restaurant, and normally we order conservatively but this night we went absolutely crazy and ordered…FISH! 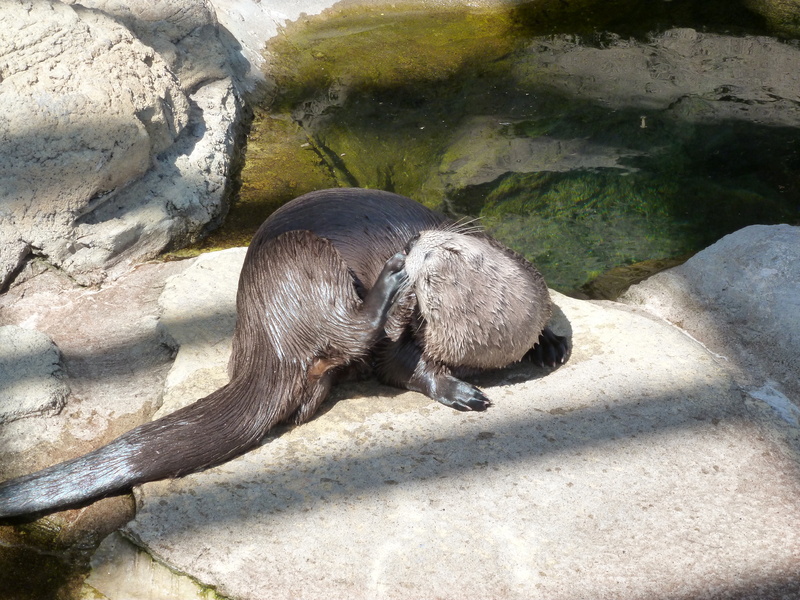 This is an otter, which we didn’t eat, but saw it frolic around the aquarium. Some smarty-pants aquarium “know it all” tour guide thought she’d impress me with some little known facts about otters, like: “Did you know that one square inch of its skin contains more fur folicals than you do on your WHOLE BODY? !” Well, for starters (peering at her name badge) Delores…I don’t have fur on my body, I don’t scratch my head with my hind foot and lastly…you don’t tell a middle-aged man who has an ever-expanding bald spot and receding hair-line something like that. Cripes Delores…get a freakin’ clue. Two meals, four thumbs up. So we waddled our way back to our room where we watched some TV, then a movie. How do you top off a day that’s had so many great culinary events in it? 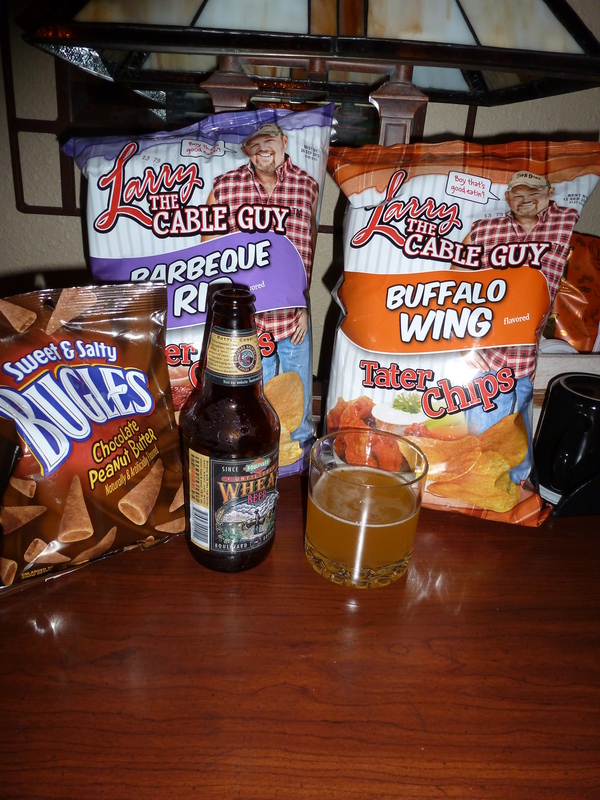 Nothing completes a day of fine dining like a couplea bags of Larry the Cable Guy Tator Chips, some chocolate-peanut butter Bugles and Boulevard Wheat Beer. Now that’s good eatin’! Sounds like a fantastic time and more then a few pounds! Getting away together – to anywhere – is just plain fun! !